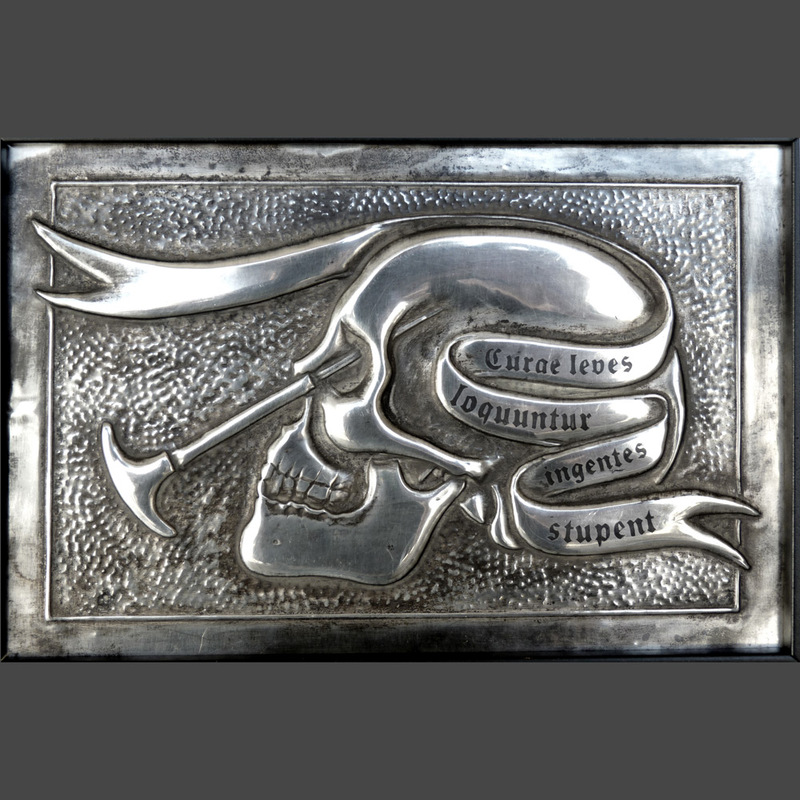 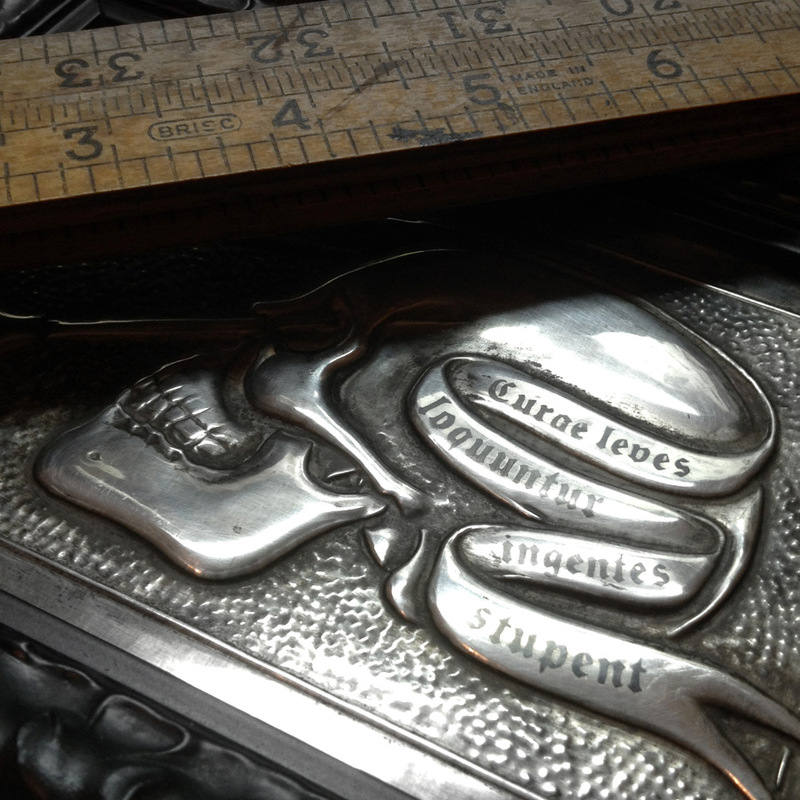 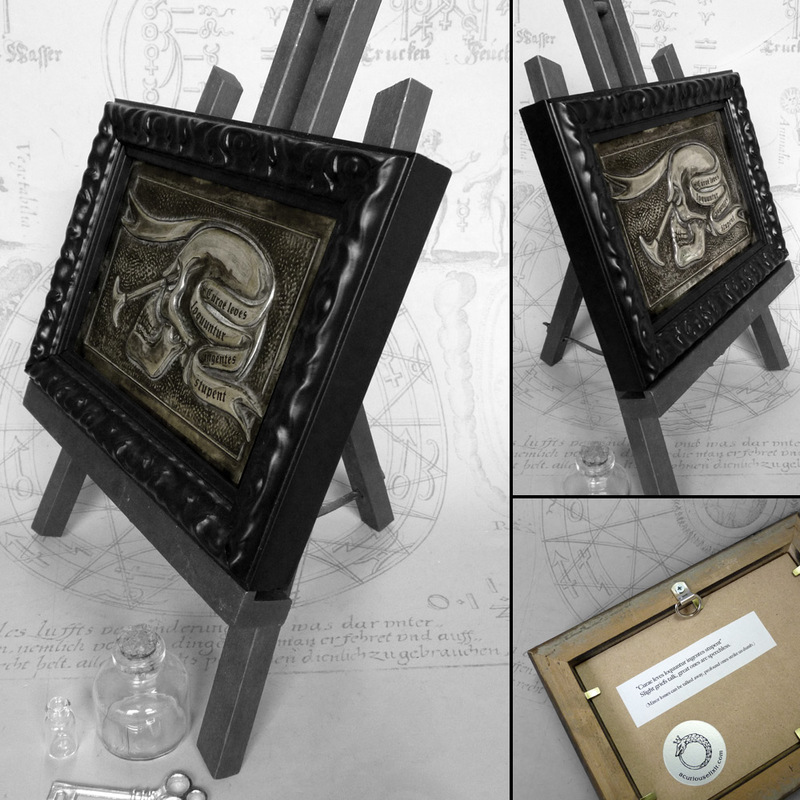 Frame: 14cm x 19cm x 2.5cm / 5.5" x 7.5" x 1"
Embossed panel: 9.5cm x 14.5cm / 3.75" x 5.75"
A skull with an orbitoclast (used in the transorbital lobotomy procedure), encircled by a banner with the words “Curae leves loquuntur ingentes stupent” : Slight griefs talk, great ones are speechless. 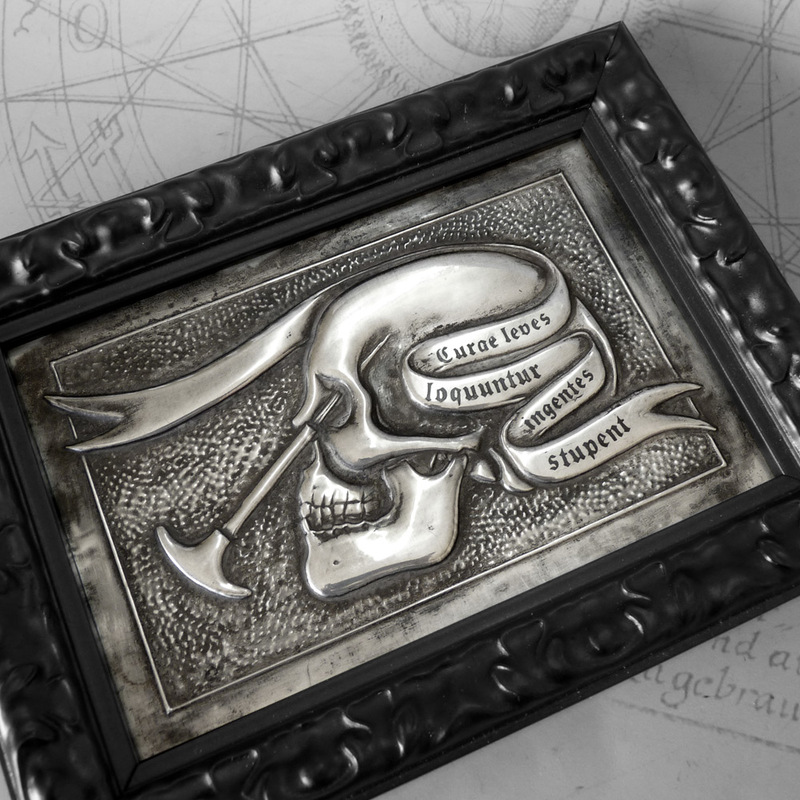 (Minor losses can be talked away, profound ones strike us dumb.) 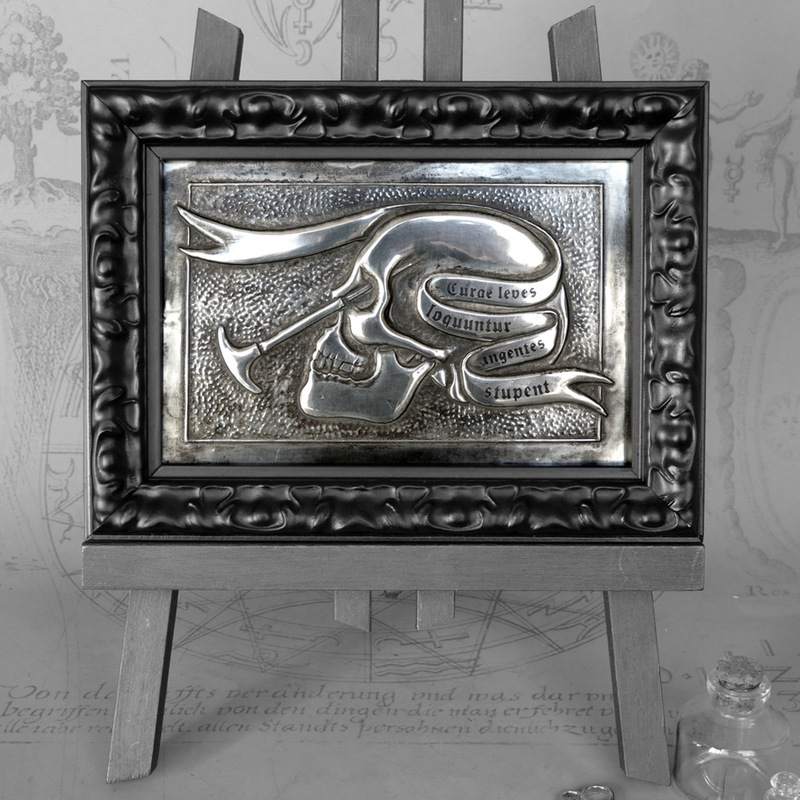 Set in an ornate black wooden frame.